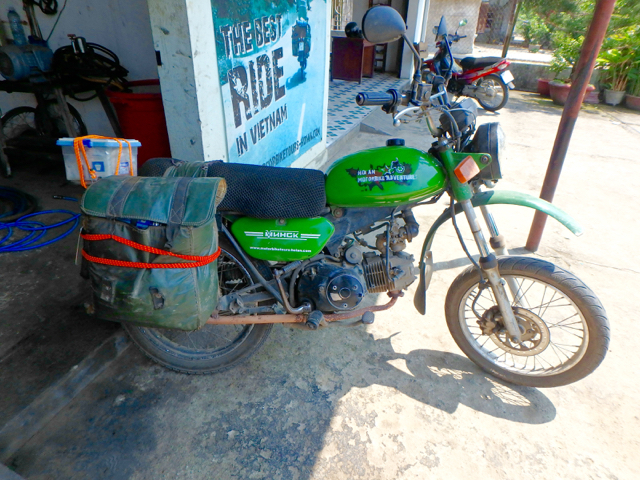 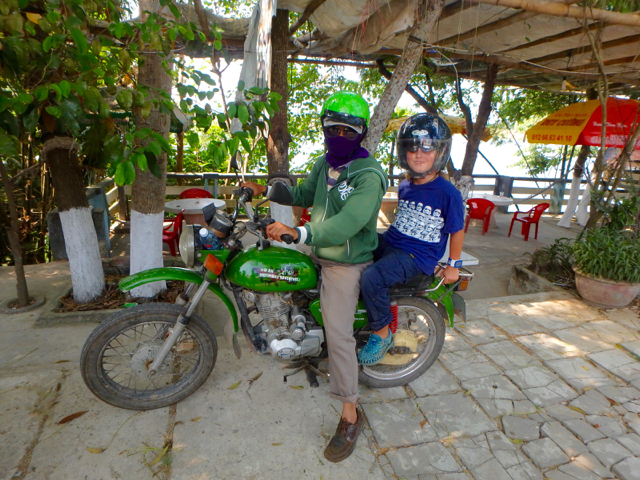 A pretty cool day trip today, we went on old Russian, Minsk motorbikes for a 4 hour, 60km drive around rural,Central Vietnam. 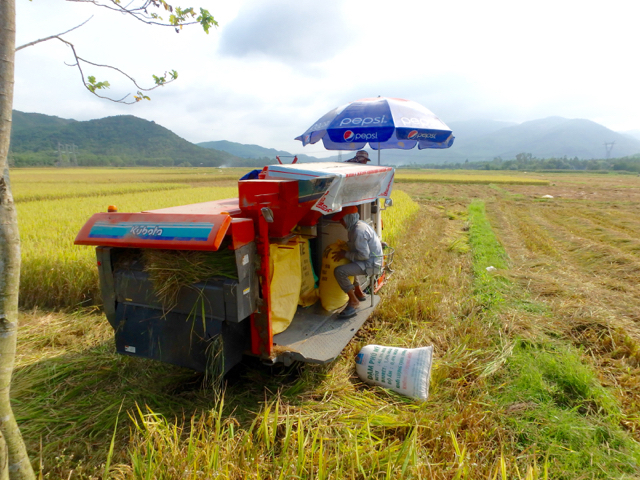 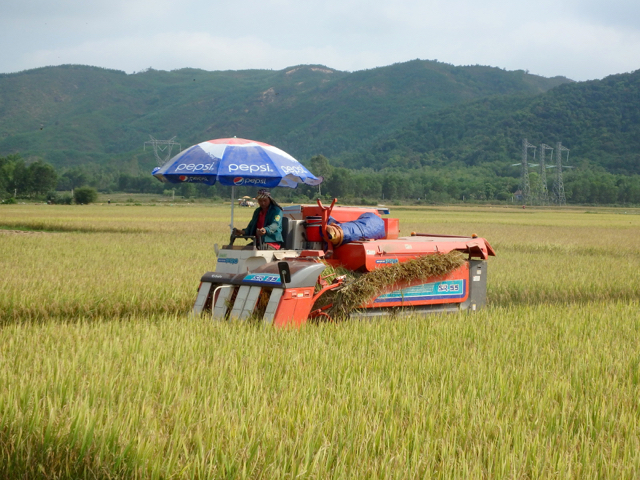 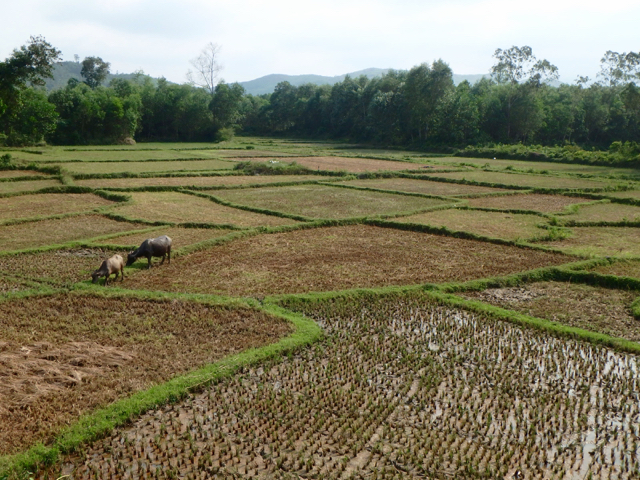 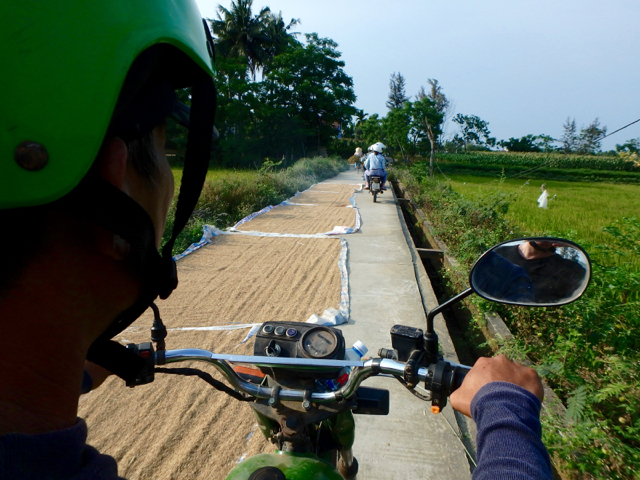 We drove through little villages & rice fields, we saw farmers harvesting the rice & drying it on sheets in the middle of the road. 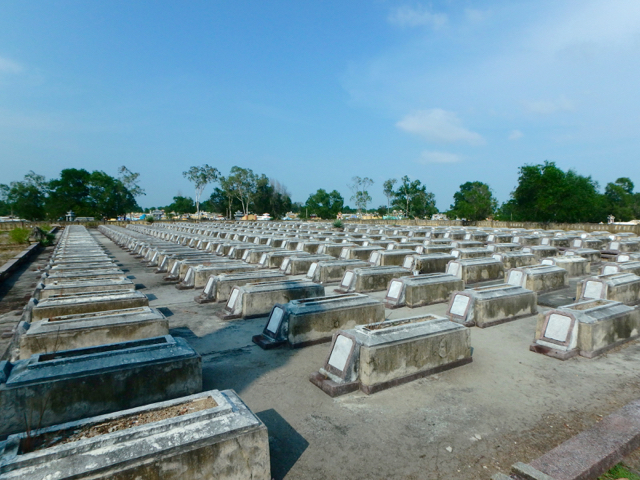 We also saw a lot a of cemeteries for soldiers from the war, our guide told us that one of them was built in 1981 and they left lots of spaces for new bodies because they presumed they would have another war soon and would need to bury more soldiers, luckily it is still half empty because Vietnam has had peace for 40 years. 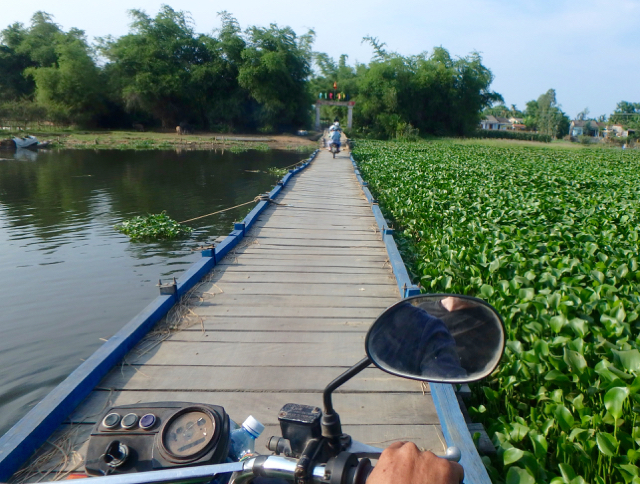 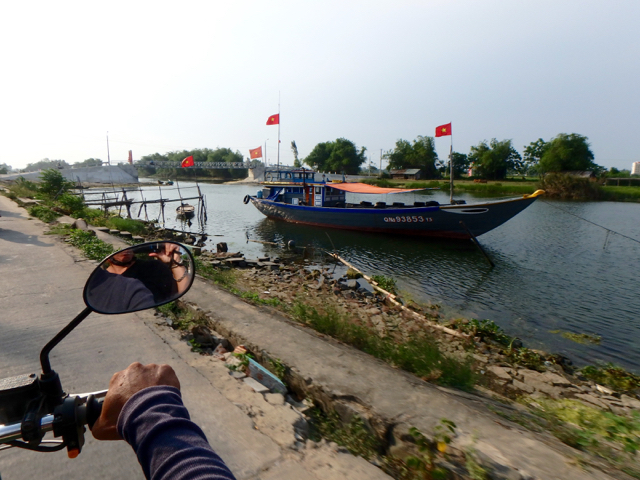 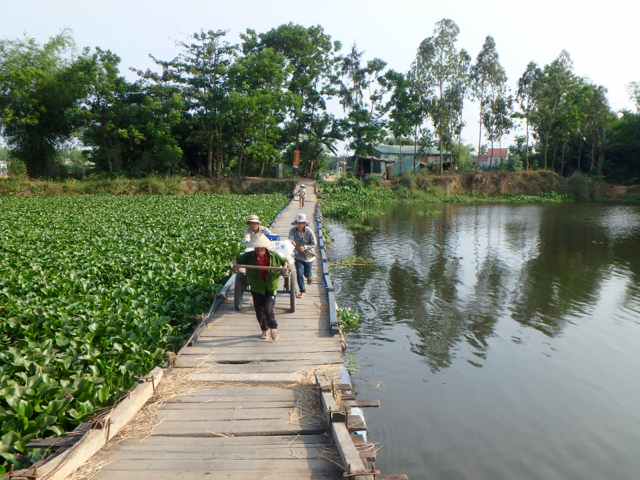 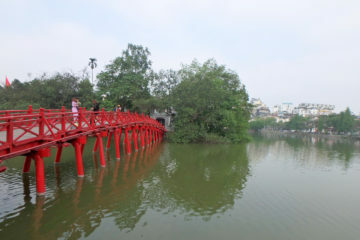 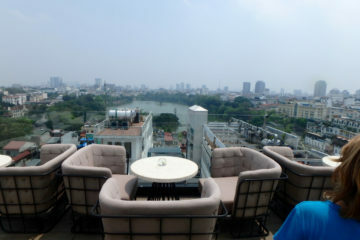 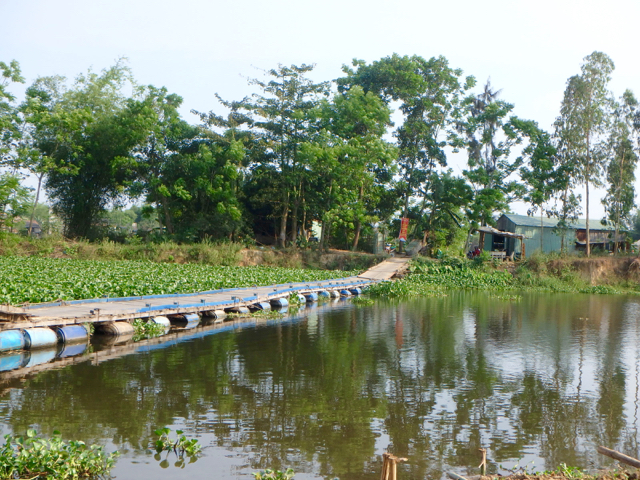 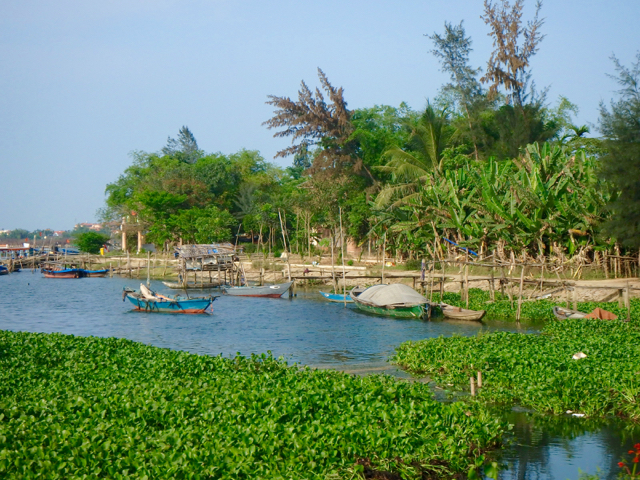 We drove across a floating bamboo bridge, which wobbled !!! 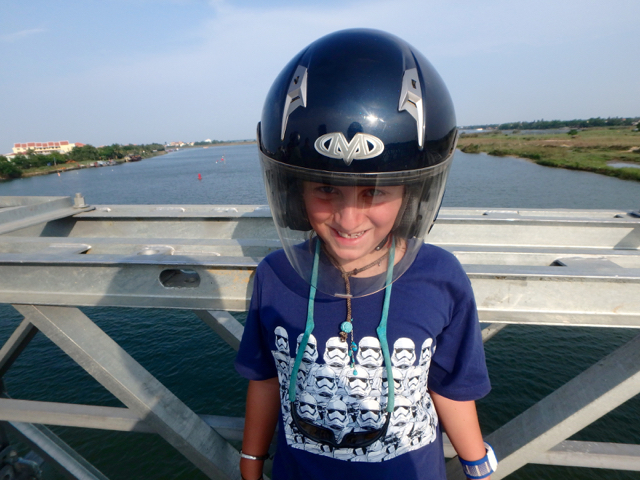 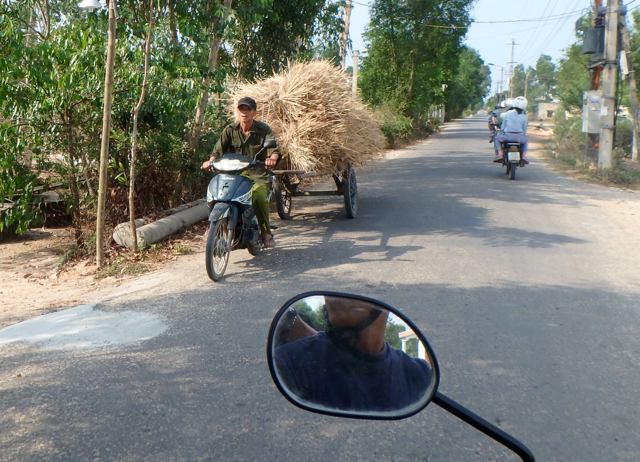 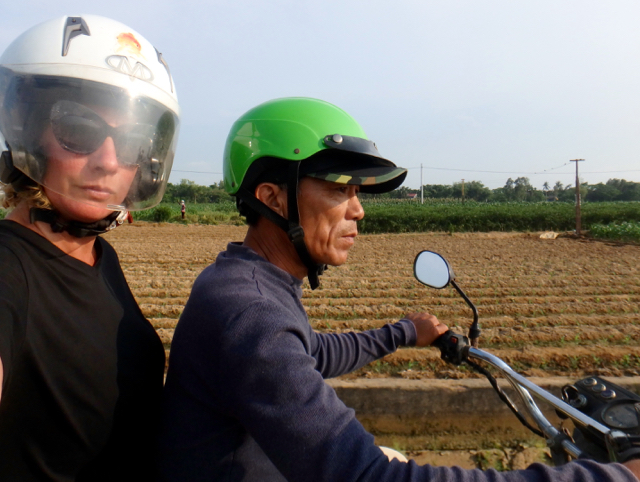 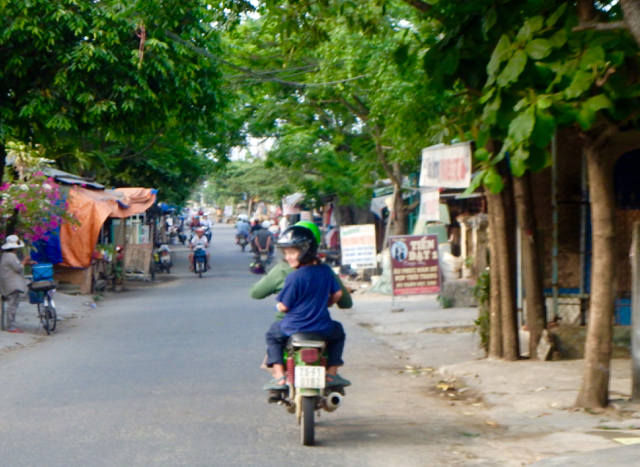 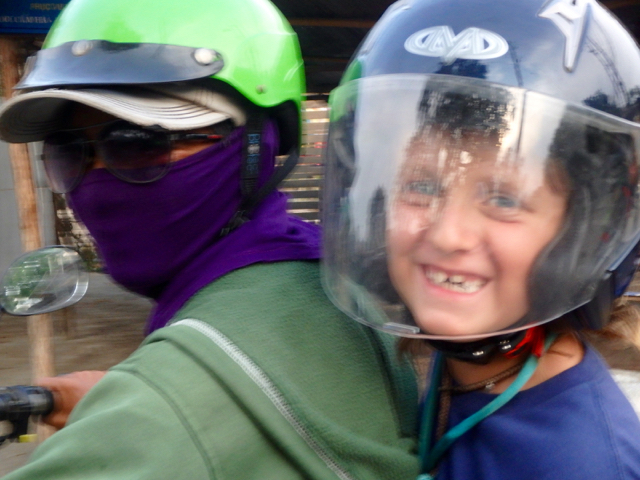 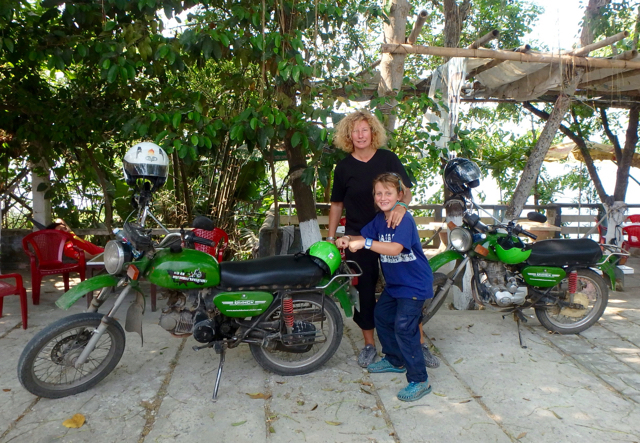 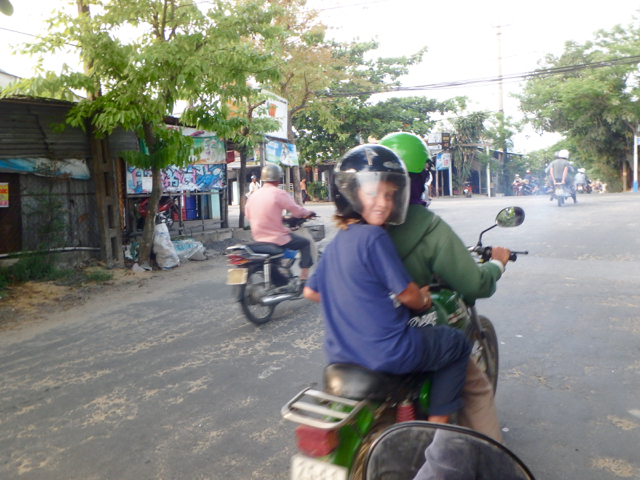 Our tour was with Hoi An Motorbikes, it cost $50 usd for Mama & $35 for me.